YAY! It's 2012!!!!! Happy New Year to all of my dear followers!!! So it's time to announce the winner of my 1st Giveaway, but first I want to thank you all for following my blog and thanks to all of you who participated on my 1st giveaway! 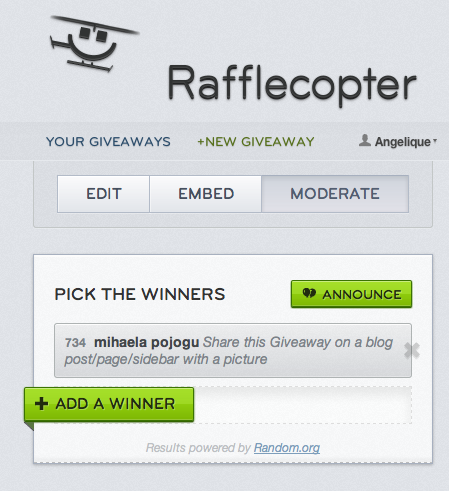 And the winner is......................... Mihaela Pojogu!!! The winner has already been contacted by email and she'll have 48 hours to reply, otherwise another winner will be chosen.